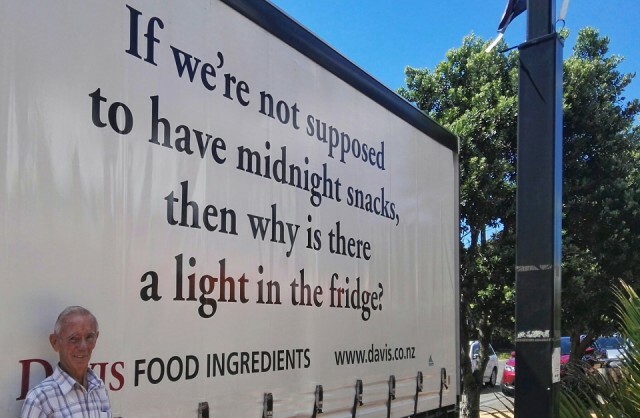 Dad spotted this deep philosophical pondering on the side of a delivery truck. We both thought it worthy of a photo. A bit more help for Dad today. Hospice appointment, questions at the AA, and the fridge is looking fresh and sparkling. We enjoyed lunch out but I haven't felt quite myself today and I'm a little poorly at the end of the day. I did manage to accompany Dad to happy hour. Other than feeling off colour I did manage to answer a few quiz questions. Dad lives independently in a small apartment and it's been good to meet the people he enjoys hanging out with.